Aldi has become the latest supermarket chain to employ the shopping trolley anti-theft systems offered by Kavanagh Engineering. 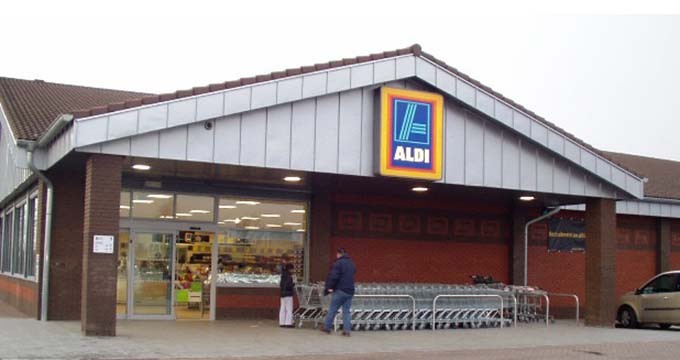 We have installed car park retention systems at the Aldi stores in both Finglas and Navan. Both projects involved installing the optimum number of detection points at car park exits, and laying the associated cabling. We also installed a long-life Intelligent Wheel on all shopping trolleys in use at the stores, to prevent any trolley being pushed past those points. The method of operation is simplicity itself. If a person attempts to take a trolley past a detection point, the Intelligent Wheel seizes up. This prevents the trolley from being pushed any further. This saves the supermarket the cost of lost trolleys. It can save them the cost of littering fines too, if trolleys end up being abandoned on public ground. Long Intelligent Wheel battery life. Visually unobtrusive, yet highly effective. Fully sealed locking wheel, to prevent tampering and to make wheel weatherproof. Wireless reset after Intelligent Wheel lock activation. If you would like your store(s) to benefit from our shopping trolley anti-theft systems too, then just call us at (056) 772 4111 or use our Contact Us form at any time.